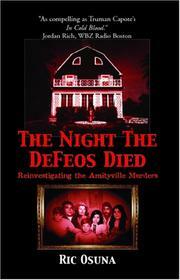 This entry was posted in The Paranormal, True Crime and tagged amityville, haunted, horror, legend, lutz, murders. I love a short book review! Mine are all short! I try not to give away the endings in my own reviews, although with novels written by prolific writers the format gets repetitious anyway. I like to read about true stories from time to time..